Just look at its appearance! 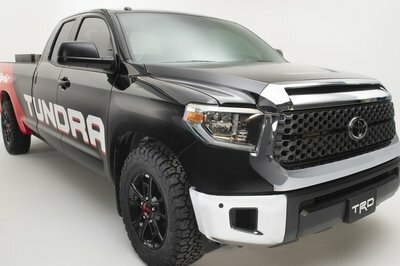 It has all the essential pieces to stand out, including protective skid plates with silver and red details, and a cool LED light bar on the roof. Coupled with wider fenders, presumably made from carbon fiber (I hope that isn't just a carbon-fiber looking sticker on them), and 2-inch lift kit, the Triton Absolute is a cool piece of machinery. 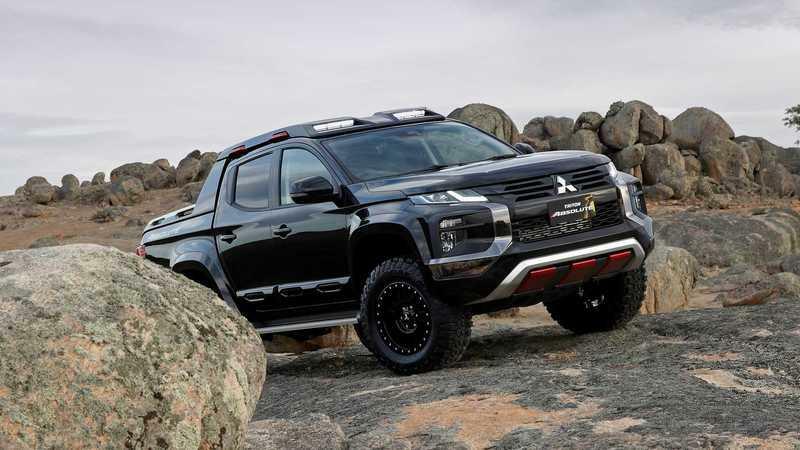 So cool, in fact, that some Mitsubishi dealers in Australia commissioned aftermarket specialists to make similar mods to the Triton trucks they sell. 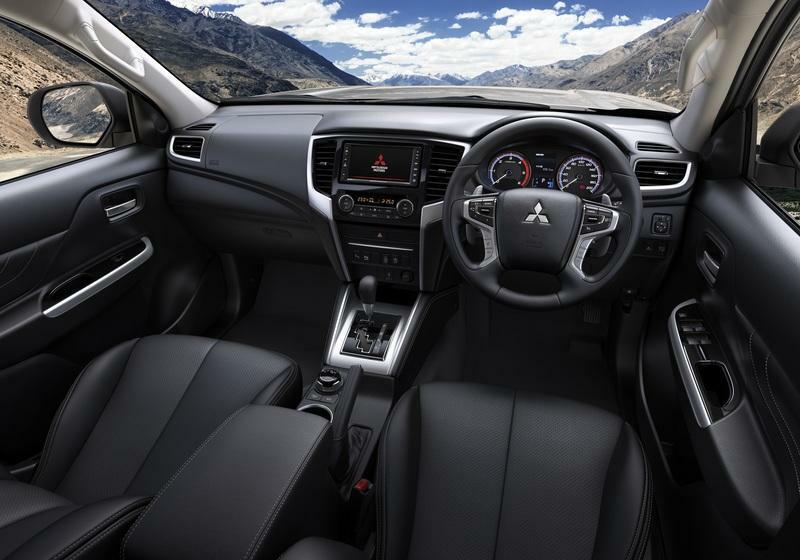 See, the Australian market is one of the biggest for the Mitsubishi Triton. Moreover, it is one of the major markets for performance-focused pick-up trucks such as the Ford Ranger Raptor. This Triton Absolute certainly feels like a worthy competitor to the American pickup. 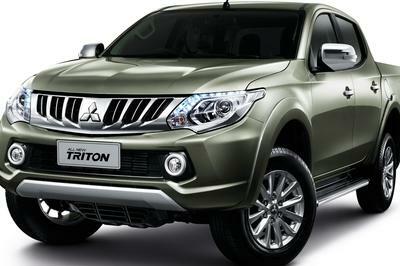 In fact, Mitsubishi Motors Australia CEO, John Signoriello said a word or two about the new Triton Absolute. He noted, "The Triton Absolute concept is more robust, dynamic and powerful. It demonstrates our commitment to exploring a vision of the future Triton that will deliver on our ’engineered beyond tough’ commitment to the Triton series - bold enough to be taken on even more adventurous treks to explore Australia’s rugged outback, which is one of Mitsubishi’s defining strengths." 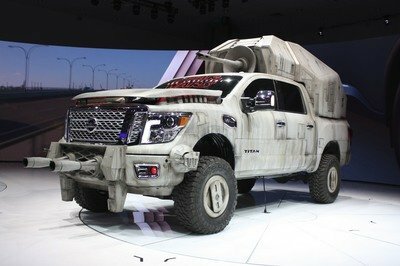 Now, the Australian market, although more than in love with these kinds of trucks, is not big enough to justify the Triton Absolute going into production. 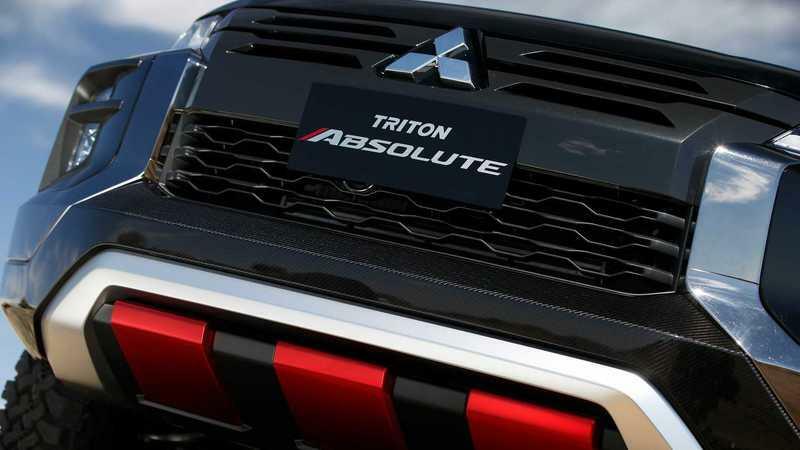 In that regard, to entice buyers and excite the market as a whole, Mitsubishi plans to extensively showcase the Triton Absolute Concept all over the world for the next 12 months. If there are enough curious questions asked, I don’t see why they wouldn’t put it into production. It is not a coincidence that the Australian actually presents this vehicle. The Triton Absolute is partially developed down under. Something similar happened with the Ford Ranger Raptor, whose development was led by an Australian team. Later, it won the 4x4 of the Year Award at the Australian Motoring Awards. This only goes to show that Australians are into cool trucks. I am sure that without them, the Triton Absolute Concept would not even exist. So, apart from the cool exterior touches, the Mitsubishi Triton Absolute Concept features a two-inch lift kit and a suspension with longer travel. It sits on Falken Wildpeak tires measuring 285/65 R18. 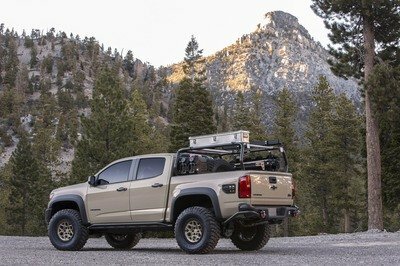 As for other notable additions, I can see an excellent tonneau cover that complements the truck nicely with the roof assemblage that carries light bars. 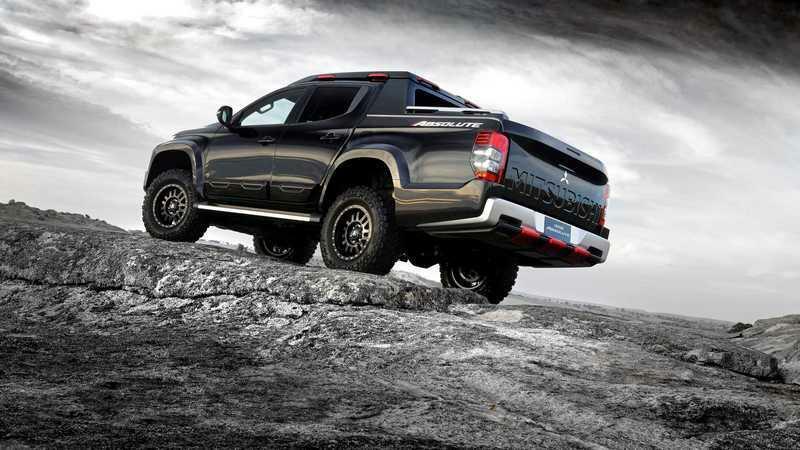 With such pleasing additions, the Mitsubishi Triton Absolute Concept gives a certain aura of accomplishment. In fact, I liked the Triton/L200 redesign from the start. This one inherited all of its talents including an impressive suite of safety features and a Super Select 4WD with modes like - gravel, mud, snow, sand, and rock. Who knows, the Triton Absolute, if it ever comes to fruition, may bear one more special 4WD mode. While Mitsubishi did not provide any details on the interior changes for the new Triton Absolute Concept, I have to believe this bespoke truck got some. After all, when Mitsubishi introduced the Triton in its latest guise in late 2018, it did have more delicate features in the cabin. Padded soft surfaces, fine stitching, and cool roof-mounted vents summed up the most significant changes, but it also gained 7.0-inch display in the middle, USB plugs, grab handle, and Apple Car Play and Android Auto support. Now, if the Mitsubishi reworked the cabin for the Triton Absolute, then it must have received red stitching to go along with the exterior details, some cool relief on the seats, and, I hope, some cool graphic on the instrument panel. Mitsubishi did not disclose any information about the powertrain in the Triton Absolute. 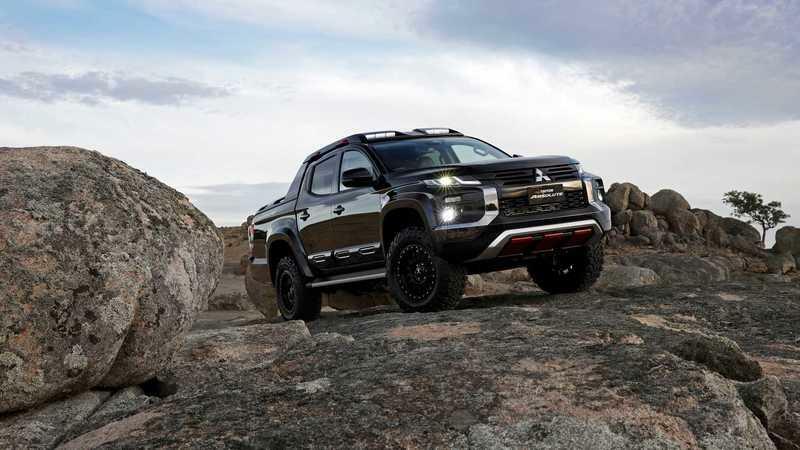 However, I do believe that it features the same 2.4-liter, turbodiesel engine with 178 horsepower and 317 pound-feet of torque as the standard 2019 Mitsubishi Triton/L200. That is easily enough for a tow rating of 1,653 pounds (unbraked) and 6,843 pounds (braked), just like the standard 2019 Triton. 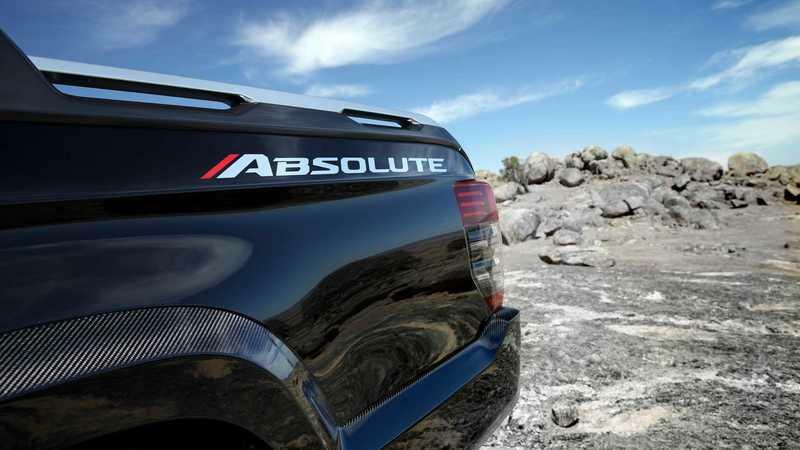 However, would you take the Mitsubishi Triton Absolute instead of the Ford Ranger Raptor in real life? Well, the Triton Absolute could be considerably cheaper, definitely narrower, more civilized even, but, if appropriately motivated, I believe that it’s Super Select 4WD system with 4WD Low mode could do some fantastic things off-road. It can not be as fun or as capable as the Ranger Raptor tough. See, Ford increased the track width of the Raptor by 150mm. This, in effect, affected the Raptor's center of gravity, and overall stability. Regardless of a tad smaller tires compared to the Triton Absolute, the Ranger Raptor (285/70R17 BFGoodrich), with forged aluminum control arms, and Watt’s linkage in the rear, seems to be a better fit overall. More power, more gears of its transmission, better interior and, let’s face it, better looks, does not hurt either. 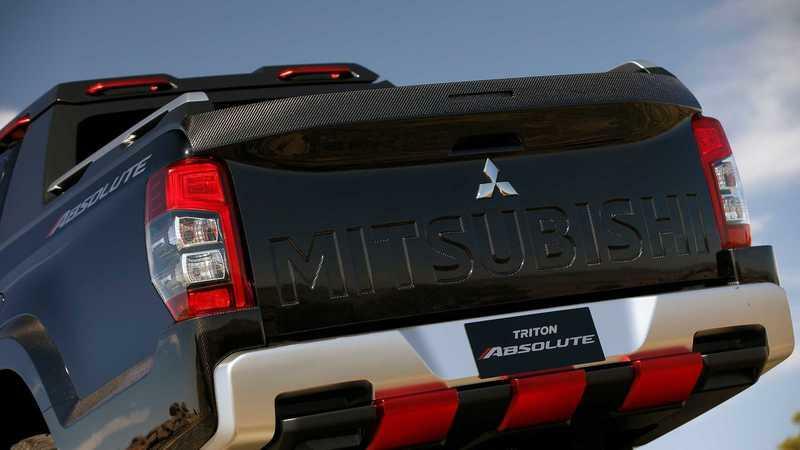 Although it is only a concept truck, the Mitsubishi Triton Absolute is an exciting prospect in the world of performance-geared mid-size trucks. If Mitsubishi and its Renault-Nissan overseers manage to massage its engine to deliver more than 200 horsepower and put it into production in 12 months or so, then the Ranger Raptor would get its closest competitor. The journey from the concept phase to the production is not that surprising nowadays. This kind of evolution became a common practice sometime in the nineties. You may remember the Plymouth Prowler Concept fruition going into production. Lately, we have seen the Land Rover LRX Concept growing into the Evoque, or the Kia Soul Concept transforming into a production Soul. Of course, I am talking here about the complete vehicles. The Triton Absolute Concept is basically only an off-road package, which makes it even more likely to reach production. 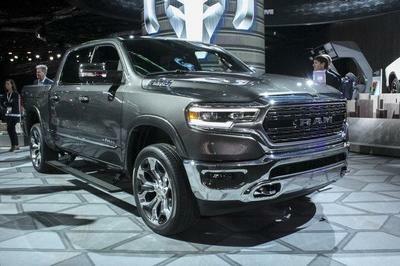 If not for this generation of the truck, then most certainly for the next one.